Tactic introduces a reliable new six channel radio system that is perfect for large and small planes alike: the Tactic TTX610 six channel 2.4GHz SLT compatible radio. Six channels of control mean that flaps, retracts and other auxiliary functions can be controlled. SLT compatibility makes this system perfect for Tx-R models. A full feature set makes this radio system a superb value for pilots who need affordability without compromises. Includes a full range Tactic TR625 six channel reeciver. 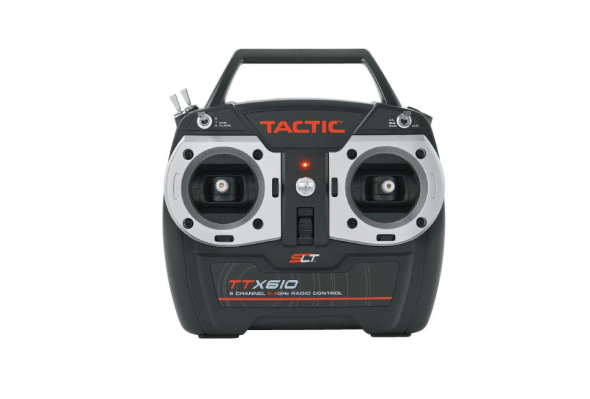 Click through (Tactic TTX610) to read all about it or to order your own!